'The Sword' sees the rapper as vulnerable as ever. He says that's a strength. 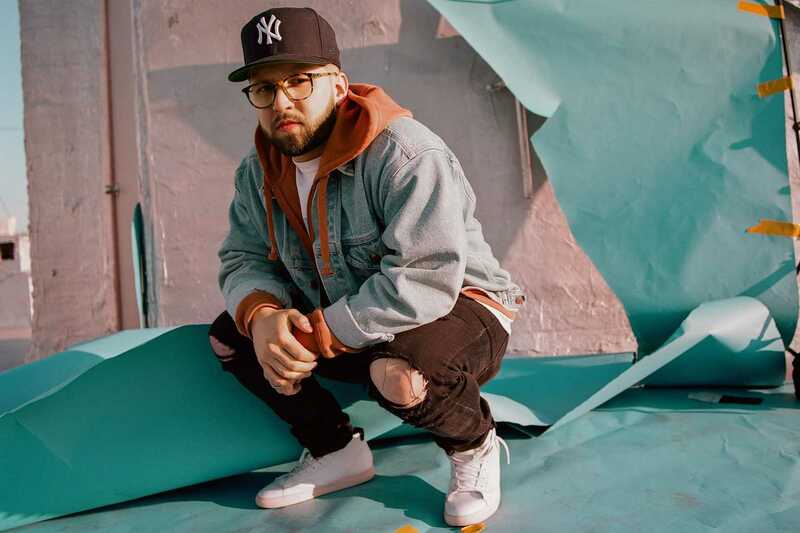 On his new EP The Sword, Andy Mineo continues his path through some of the most vulnerable and heavy parts of his consciousness. The Sword is the second project in a series of EPs that are in part taken from the artist’s “lost tapes” and in part new songs he wrote out of challenging periods in his life. Preceded by The Arrow earlier this year, The Sword has heavy themes of duality. Mineo asks himself tough questions regarding his success, his origins, his goals and his faith, and the result is an at-times sharp, at-times brutal, at-times funny exploration of identity only the Syracuse rapper could provide. We sat down with Mineo to talk about some of the themes on The Sword and some of his broader goals for the four-part project that will eventually make up his third LP. What was the impetus for doing the series of EPs? Well, some of it was personal and some of it was business. Over the past few years, I’ve become strangely perfectionistic and insecure, so finishing a full body of work became a bigger and bigger task because I see everything that goes into promoting a project. It mounts up a lot of pressure to perform. That was becoming harder and harder for me to finish a song and move on to the next, because once you have success, your biggest fear is that you’ll lose it. It just takes one flop for people to move on to the next. On top of that, I don’t have a constant producer to bring my stuff to light. I’m always working with different artists and musicians for a short period of time. I don’t have a co-collaborator that helps me bring my music across the finish line, and that makes it difficult to have cohesiveness. So in a lot of ways I’ve become my own producer, and as a perfectionist, I’ll end up sitting in front of my computer and overthinking and doing way too much tweaking songs. The music will sit on my hard drive forever. It’s never finished. When you get in with producers you trust, it’s easy to give it over to them. So one of my thoughts was how to bring all this music out to the world and be a lot more consistent. It’s been awhile since my last album, and we wanted to deliver fans more content, get back into the groove of releasing content, and test the market and just keep giving people stuff. You’ve always been open about your insecurities. You address a lot of fears and vulnerabilities on this album. Does that make some fear you’re going too far? That’s always a line you walk when you’re being vulnerable, but here’s the crazy thing: What I’ve learned in life is that people aren’t vulnerable because they’re afraid of being shamed. What I’ve noticed is that people are drawn closer when you’re vulnerable and endeared and less likely to leave because they feel human next to you. It’s counter-intuitive to be vulnerable. Your fans particularly are drawn to that, but there’s always going to be people that use your vulnerability against you, but I’ve built my brand off that from the beginning, like on Heroes. All my music is like that. I’ve been described as personal, and fun. That’s always been part of my brand. Your lyrics cover everything from God to marital fidelity. How do you make sure you’re not just trying to cash in on a social justice moment or moment of consciousness? We were making music about that stuff before it was cool. We were trying to live that out before it had popularity. Music is supposed to be a place for honesty, and that’s something I think of every time I approach art. I pay attention to what works and what’s awesome, and I want to be a part of that, but I need to stay true to myself. If I sit at the table and read it back and, even if I think it’s good, say it’s not from me, I can’t release it. That’s a real wrestle. You always have to know yourself. Authenticity is a thing most people wrestle with in life, but definitely artists as they encounter success. You have to ask yourself really hard questions.